I was supposed to swing by Faneuil Hall a few weeks ago for a pub crawl of sorts, but we had dinner at Jacob Wirth's first and never made it out of there. We somehow managed to rack up a $1500 bill while we were there, which is A LOT of food and beer. 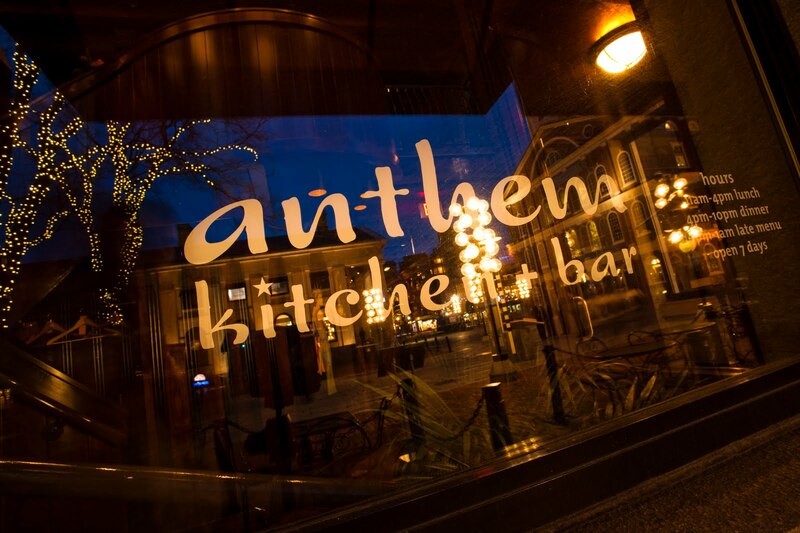 New to the Faneuil Hall area is Anthem Kitchen + Bar which took the place of the old Plaza III Steakhouse space. The Briar Group is delighted to introduce Anthem into Boston’s dynamic downtown. Located steps from State Street, Faneuil Hall Marketplace and the Waterfront, and within walking distance to several of the city’s most coveted sites and destinations, Anthem offers guests a twist on traditional comfort food in a lively Americana setting. With affordable menus for lunch, dinner and late night dining, it’s the perfect spot for client entertaining, drinks after work or just to relax and refuel after a long week. Click (here) to visit the Anthem site. 0 Response to "Anthem Kitchen + Bar Now Open in Faneuil Hall"